Happy March! Yes, March. The name of the month makes me think of the color green, signs of Spring, and shamrocks. I went to Miami University (of Ohio) for undergrad and St. Patty's Day meant one thing! Green Beer! I remember sitting in my education "methods" classes and one by one, students ran out the back door on St. Patrick's Day! Or maybe it was the morning after. I can't remember as it was so long ago. So today I thought it would be the perfect time to share two of my favorite March products with you. 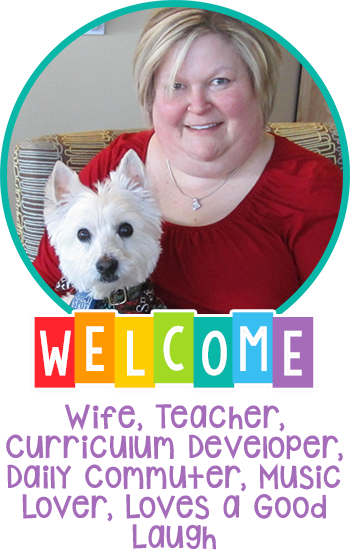 And of course, some of my teacher author friends will post some of their favorite items as well. Be sure to read all the way to the end and perhaps you will find something that you must have for this month in your classroom. The first new activity is just right for your emergent readers who are still learning their letters and sounds. It is pictured just below and is a super big hit with my students. Included you will find 3 decks of cards, capital letters, lowercase letters, and beginning sound pictures. Choose the way you would like to play the game, give each student a game board and a hole punch, draw a card and find the matching letter around the perimeter of the board. Students can have a board with either capital or lowercase, in sequence or mixed, or color or black and white. So the activity is extremely versatile. 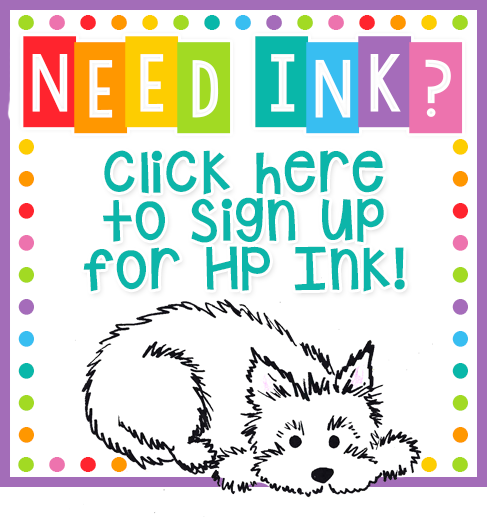 I usually print my boards on card stock as well to make it easier for little hands to hold. For more details, click on the link below the picture. The next activity can be used with older students. 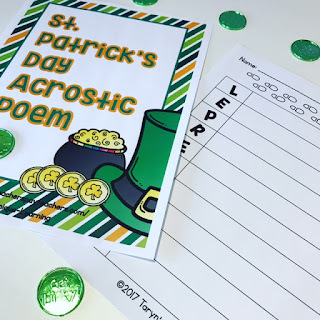 It is a St. Patrick's Day Acrostic Poem activity. This is a FREEBIE! Yippee! Simply download and copy for each student. This is the perfect way to add some festive fun to your week this week or next. Kindly leave a rating and feedback for this in my store if you would. Be sure to check out more great products listed below. I think there will be a little something for everyone. Thanks for linking up Linda! Hope to see you next week!